We offer regulation size guidons for all Armed services and department/organizations. We make genuine regulation guidons for the US Air Force, US Marine Corps, US Army, Navy & Coast Guard. We can have them made in a swallowtail or shaped design. 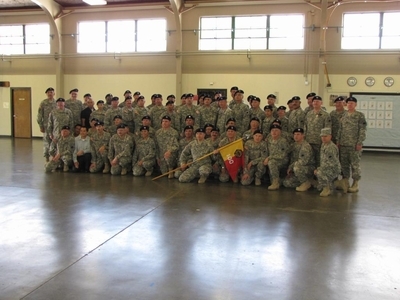 We offer regulation size Guidons for all the military services as well as any organization requiring a custom guidon. We offer our guidons in either single side for framing, or double sided for flying on a guidon staff. Our framed single sided guidons are perfect for presentation or farewell gifts. They are made for framing and therefore not suitable for mounting on a guidon pole. These guidons are available in cotton or 200 denier nylon for long wear. They feature either a swallowtail fly end or are made in a rectangular shape according to each service regulations. All flyable guidons feature a pole hem and leather tabs for affixing to your guidon pole. All lettering and insignia are appliquéd depending on the artwork requirements. Order here via our website or FAX (760) 429-7227 or email us with your specifications and we will provide pricing. Normal production time for these custom guidons is 2-3 weeks but RUSH ordering is available at an additional cost. PLease note that custom guidons are not returnable unless due to a defect in workmanship. If a return is warranted, we will reproduce or replace the item. Please state any deadlines you may have; if we cannot deliver by that date you will be notified immediately.